A few weeks ago, I came across the chicest lady while walking around downtown: toting an Hermès Kelly on her forearm and sporting a combination of black cigarette trousers, a striped boatneck sweater, and an oversized camel cashmere wrap, she was the epitome of effortless elegance. Although she was older in her years, seeing the way she carried herself with such ease and grace has since been inspiring me to veer towards the simple and classic. And when I saw this sweater dress at Zara last Thursday, I knew it was the ideal piece to do just that. You always know how to go perfect! Your bag is everything! I’m in love with it! Simple can be so chic! Love this outfit. Very chic lady! Is that a new bag? So pretty! 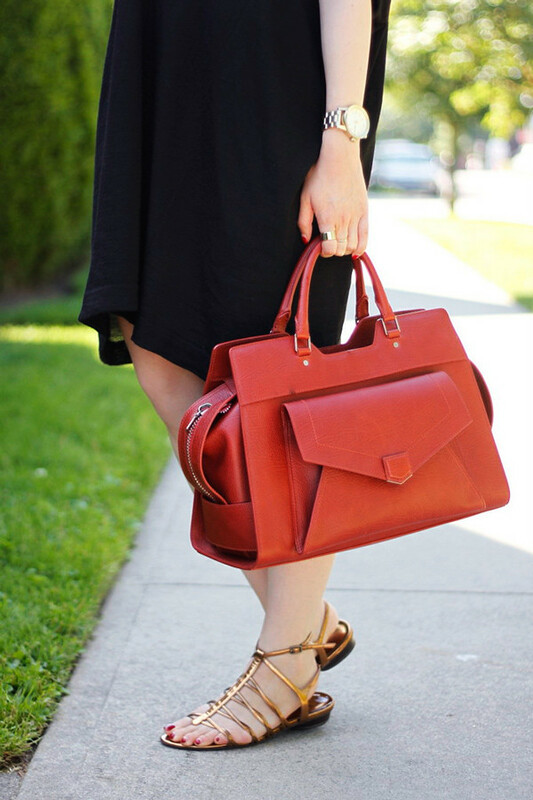 That bag is so gorgeous – love the color and how easily it will transition into fall! Definitely chic! I think a lot of the older women have the best style. Great pieces! What a perfect, black dress! Love this oversized dress! So perfect for summer. The sweater dress looks so comfortable. 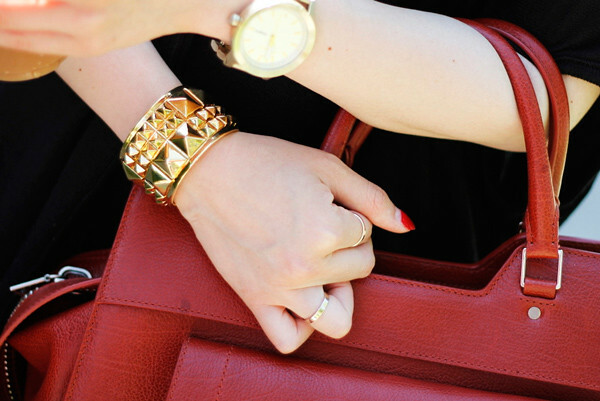 I love how you have added a pop of red with your handbag! What a beautiful and effortless sunday outfit ! What a nice and comfy black dress! Love the handbag as well as the gladiator sandals! Will be shopping for a red pair of Alonai pumps to pair up with a black dress I just purchased!